Version 1 on the left >>>>>Take 1 c oats, 1 c almond milk-unsweetened, 1 tsp flaxseed meal, 1 tsp chia seeds, cinnamon and nutmeg add to bowl and stir. Place uncovered in fridge overnight. When ready to eat add fresh fruit and a few drops of honey-more cinnamon if you want too! Makes 2 servings. Version 2 on the right <<<<< Take 1/2 c oats, dash of cinnamon, nutmeg, ginger, 1 tsp flaxseed meal, chia seeds and coconut flakes-unsweetened, 1/2 c almond milk-unsweetened, 1/2 c mixed berries-fresh or frozen, 2 heaping tbsp Greek yogurt. 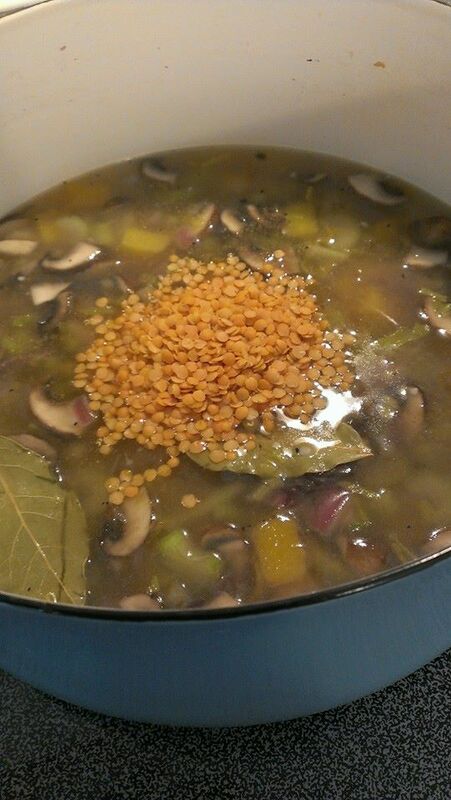 Stir well and place in fridge overnight. Makes 2 servings. 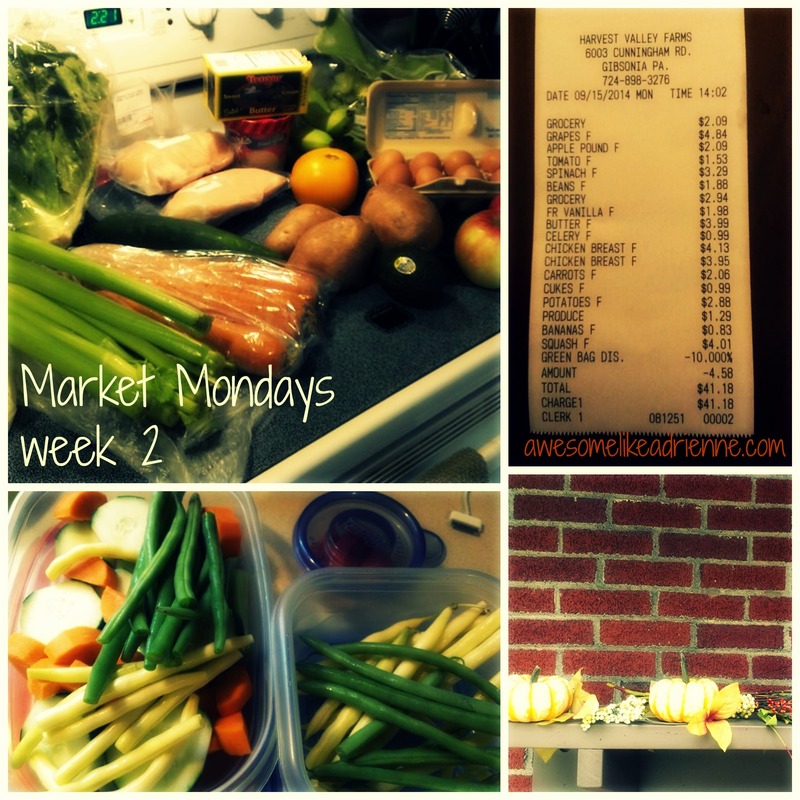 I had a fabulous time at the market as I usually do on Monday afternoons! pumpkins-3 of them to decorate the front porch…bring on fall!! carrots-Max loves carrots and we were out!! yikes! 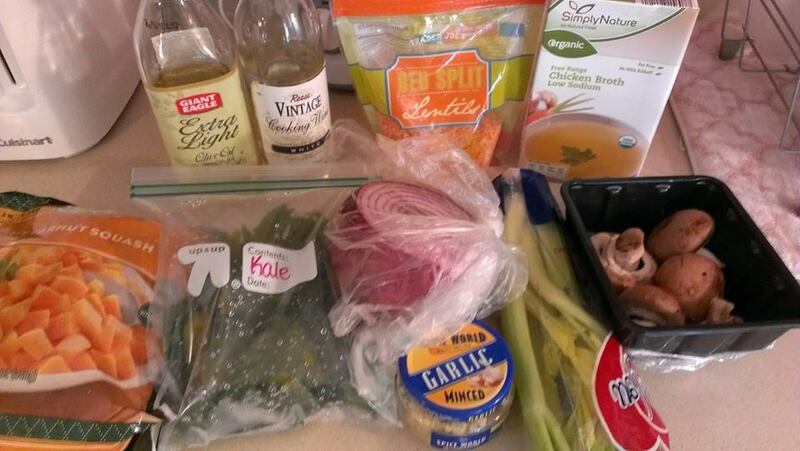 Total saved: $4.62 because I brought my reusable Harvest Valley bag! Of course I will drink tons of water and tea all day too! Yay!! planning is fun and now…I don’t even have to think about it. Just stick to the plan and get the results. For me the result is a happy & healthy balanced life! Wishing the same for you! Let it cool completely before storing in the fridge. 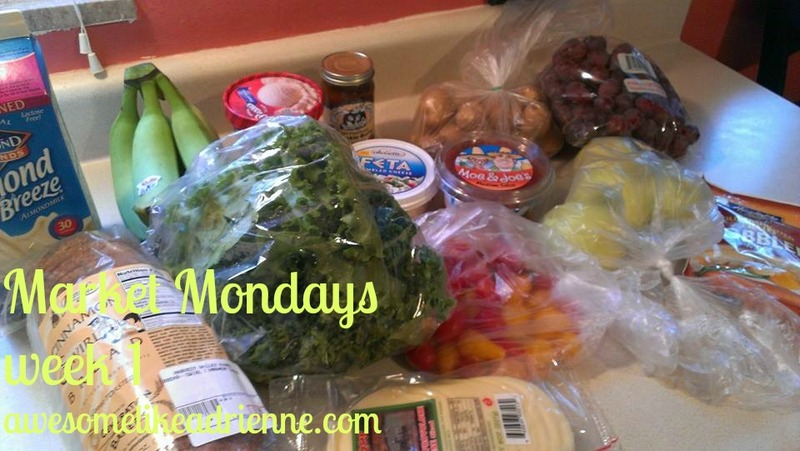 This is a great make ahead idea for your meal prep for the week. It is packed with nutrition!! I wanted to share with you my workout from yesterday! It was short but awesome! 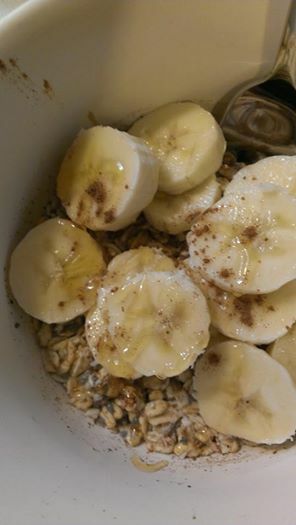 1 c oats, 1 c almond milk, 1tsp flaxseed meal, tsp chia seeds, half banana (added in the morning) cinnamon, nutmeg and a few drops of honey (also added in the morning.) I ate 3/4 of this and saved the rest for after the workout along with a protein shake. I dropped off my son at Kindergarten at 9:15 and by 9:27 I was on the track running. 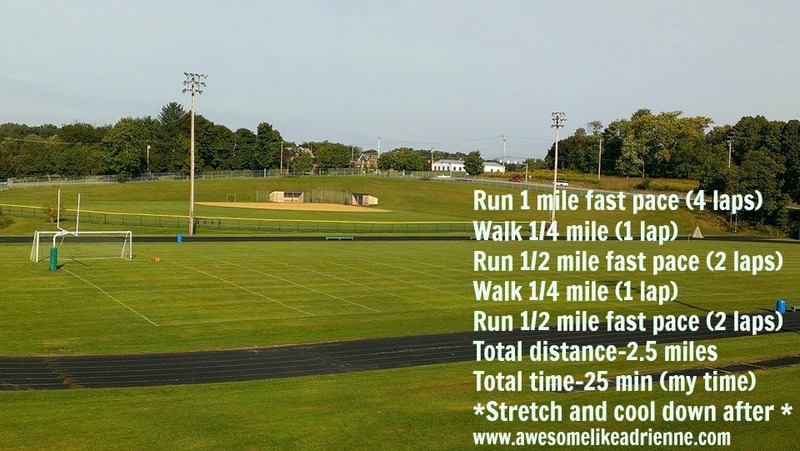 I ran the first mile in 8 minutes and 40 seconds-which is fast for me! I can’t keep that pace for more than 1 to 2 miles (yet). I walked 1 lap and then ran 2 at the same pace, walked 1 and then ran 2 more at the same pace. It took me 25 minutes total, a total of 2.5 miles and I felt like I had accomplished something! I was home by 10 am. Not to bad if you ask me!! I drank my protein shake in the car right after and when I got home I ate the rest of my oats. I want you to think of your workout as 3 total parts. Each workout whatever it is should have a beginning a middle and an end. Workout-doesn’t have to be for hours. It can be quick as long as you are working hard-that’s the key! Also, proper rest is crucial! I have noticed that 3 to 4 workouts per week are perfect for me. I do a running, yoga & strength training combo. I work hard during those workouts and my body needs the other days to truly rest/recover and rebuild! So does yours. 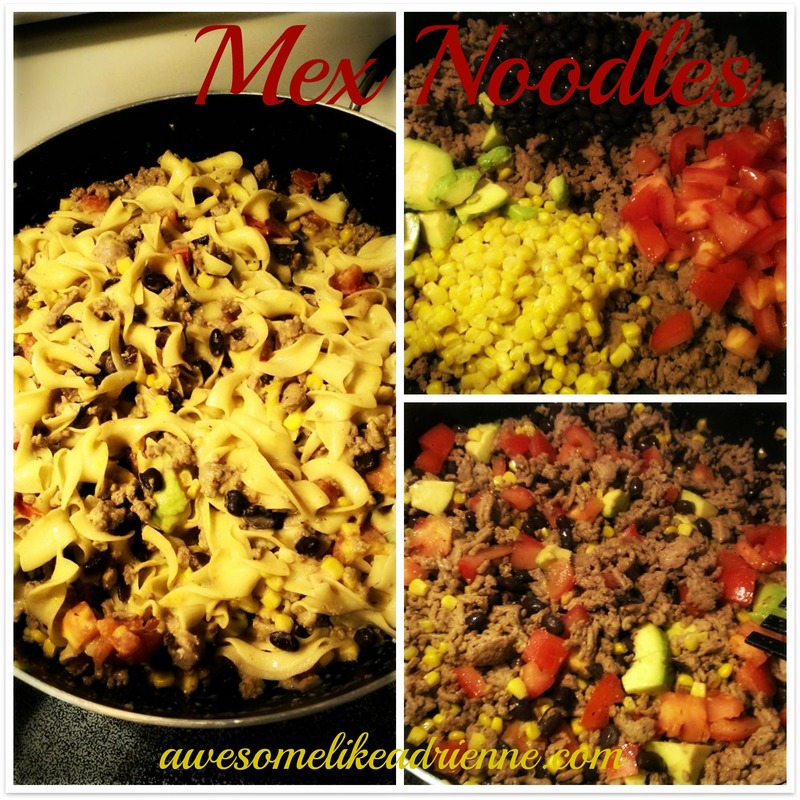 Mex Noodles! The entire family will love! Cook ground turkey with seasonings that you and your family like. I used oregano, salt, pepper, cumin, coriander, garlic powder and paprika and a dash of cinnamon. Once the turkey is cooked add beans, corn, tomatoes and avocado to skillet and let cook down for 5 min or so. Cook noodles according to package directions then drain and set aside. Add Greek yogurt and cheddar cheese to skillet. Add cooked noodles to skillet, stir and serve! 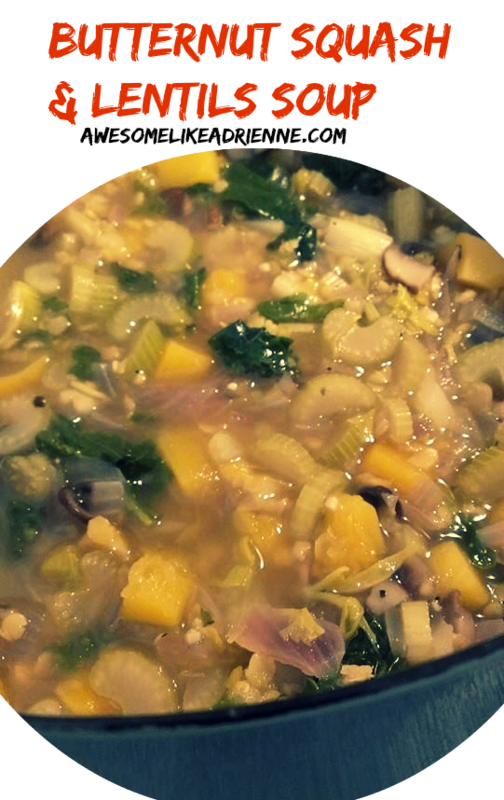 Simple and so easy to throw together! Delicious and nutritious of course! 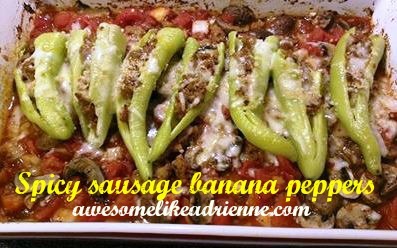 Can serve with some Italian bread and or salad. No pasta needed!